In this letter, G.W. 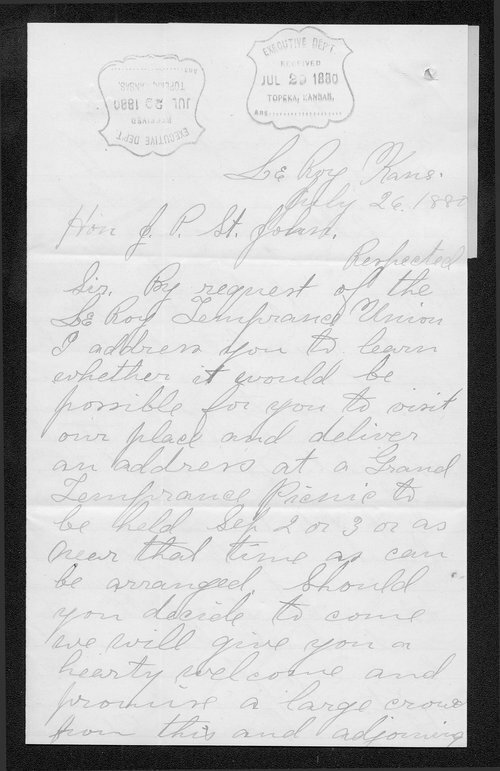 Robinson requests Kansas Governor St. John deliver an address at a temperance rally in Le Roy in early September. Robinson predicts "as large a harvest from as little labor as in any section of Kansas".